سواءً كنت مسافراً بغرض السياحة أو العمل, Portside Noosa Waters Hotel هو خيار عظيم للإقامة خلال زيارتك صن شاين كوست. يمكن من هنا للضيوف الاستمتاع بسهولة الوصول إلى كل ما تقدمه هذه المدينة النابضة بالحياة. كما يمكن الوصول بسهولة إلى Noosa Yacht & Rowing Club, Noosa Library, Wallace Park. إن Portside Noosa Waters Hotel حريص على توفير الراحة للنزلاء، فلا يوفر الموظفون جهداً في تقديم أفضل الخدمات وضمان حسن الاستقبال. تتضمن الميزات الرئيسية في هذا الفندق: واي فاي مجاني في جميع الغرف, خدمة حجز التذاكر, واي فاي في المناطق العامة, صف السيارات, غرفة عائلية. تتضمن كل غرف النزلاء وسائل الراحة والتسلية المصممة خصيصاً لضمان الراحة القصوى للضيوف. كما أن مجموعة الخدمات الواسعة الموجودة في الفندق لضمان راحتك تترك لك الكثير من الخيارات لقضاء وقتك أثناء فترة إقامتك. استمتع بخدمات لا يعلى عليها وعنوان ذو اعتبار في Portside Noosa Waters Hotel . Big townhouse right on the water! Staff very friendly & helpful. A couple of good restaurants within walking distance. But you just can't beat having breakfast on the water! We thoroughly enjoyed our stay in this beautiful townhouse. We stayed at number 3 and it had been completely renovated other than the bathroom upstairs (which was still in great condition). The Kitchen was stunning and had everything you need for a great stay. Everything was very good quality. The only negative is the garage is very tight for carparking, if you have a big vehicle this could be an issue. The views were amazing onto the canal and the birdlife and comings and goings was really great to watch from the front balcony. I would definately return. 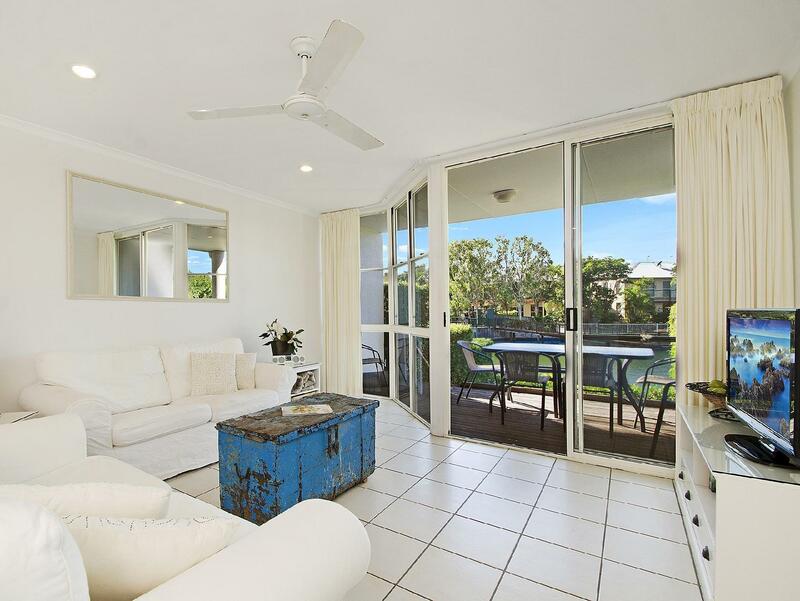 Quiet, waterfront apartment within walking distance of restaurants, cafes & shops. Waking up to water views in the morning & sitting on the deck overlooking the water - we didn't want to leave. The management were lovely but the overall hygiene was discusting. This property needs a big makeover inside the units. Bathrooms were mouldy, mould on curtains, sand all in beds, food in cutlery drawer, crumbs everywhere in cupboards. 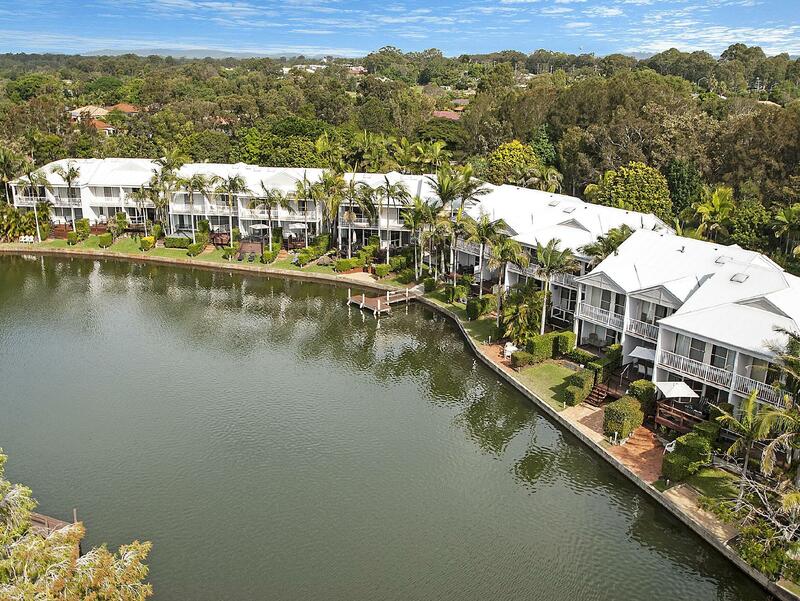 Great location right on the water with each apartment having direct waterway access. Although still reasonably central to the main eating and entertainment area of Noosaville (approx 10 minutes walk or 2-3 by car) the location is very quiet. Apartments are of a good size and would suit both couples and a family of four. Nice located by the river. The hotel itself within reach to local shopping area, which is handy if you travel with family and children. Close to the beach with options of water activities. Property is clean with friendly staff. Lovely, quiet relaxing Hotel. Clean and tidy and has all you need. Great location, brilliant for kids, the house itself was a great size, clean, well equipped, Andrew the manager was extremely helpful will Definatley stay again. easy to find, easy to check in. only a few minutes drive to everywhere. supermarket just down the road. had pretty well everything you needed to cook your own breakfast/dinner. nice and clean, needs a new shower head. Thoroughly enjoyed our stay. Managers were friendly and helpful. Pool was nice and warm and the waterfront position afforded a nice relaxing outlook. The hotel is showing some signs of age but is tidy and overall was good value for money. Just what we needed to have a quiet relaxing few days. Size of accommodation, facilities and beautiful surroundings. I would recommend this accommodation to anyone, it really was outstanding and at a reasonable price. 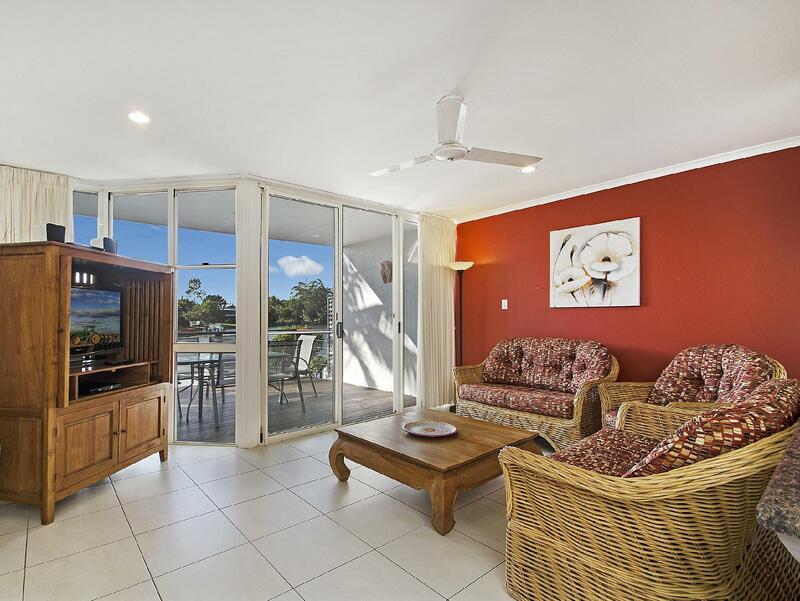 stayed at the Portside Noosa Waters hotel for 2 nights recently in a family of 7. It was situated in a relatively quiet area which made it quite a nice place to relax to. There was also a lake right in front of the villa which made it possible for us to do some fishing. Overall positive experience from the stay. Centrally located, friendly helpful staff. Jeannette and Peter very helpful and friendly, a warm welcome always ready to provide guidance regarding activities and places to tour. Self catering apartment right on the river with morning sun streaming through the windows. Good facilities everything you need for a self contained. Rooms good size, very friendly service. Would stay here again. Best value for 4 people share. We have a pleasant 3 days stay at a 2 bedroom townhouse. The unit was in very good condition, clean and big enough for us, a couple with 2 older children. We had many facilities at kitchen, good beds, linen and bath towels. The swimming pool was very clean. The manager welcomed us with a read unit for early check in. We did not see any faulty at our stay. The aircon and fans were working and the shower was fantastic. I would return to Portside Noosa Waters.